Cycle a Mediterranean island, watch the TDF in the French Alps, or let a famous chef prepare your meals in Tuscany—Grand Tours and cycling vacations are as abundant as cols in Europe, and the options for this year’s big biking trip can be overwhelming. This rundown of can’t-miss races and must-see cycling destinations is sure to help flesh out your 2018 travel plans. Your time in the saddle is precious—spend it wisely! While the TDF is considered the most important Grand Tour of the season, the Giro d’Italia is the aficionados' choice. In 2018, the Giro will be the first Grand Tour to start outside of Europe, with three stages in Israel. DuVine is proud to offer an 8-day / 7-night tour to experience three stages in Israel with VIP passes. 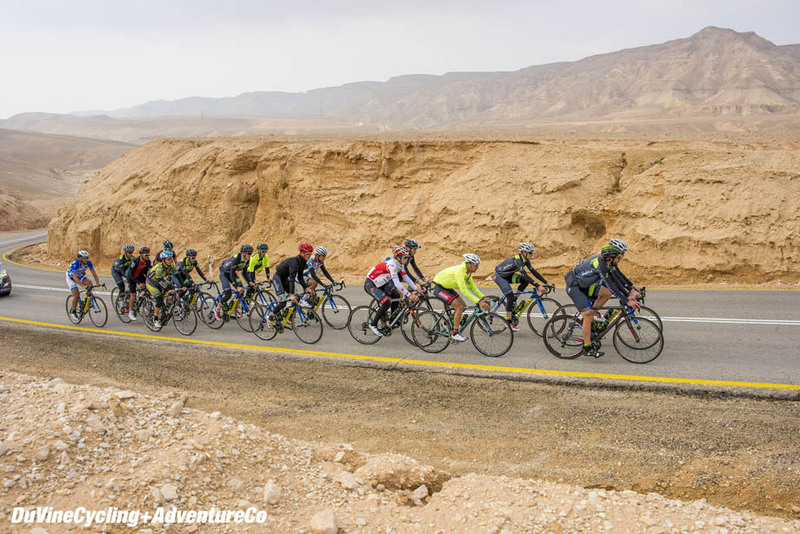 Head to the Holy Land to get up close to all the action: meet the Giro riders, attend exclusive race events, and test your endurance on a long desert ride that follows Stage 3 to the finish line in Eilat. 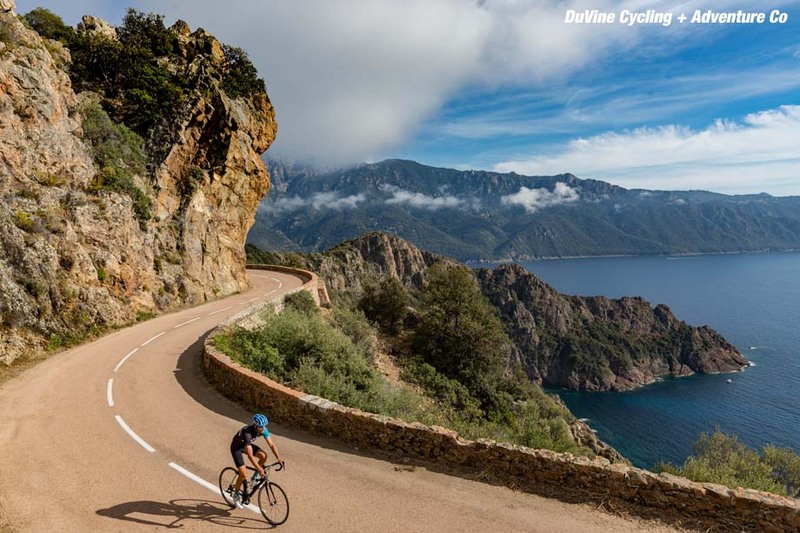 Corsica revealed its hidden splendor to the cycling world when it hosted the Grand Départ of the TDF in 2013—the peloton zipped past the Mediterranean on roads that looked like France’s gift to cyclists, and that was only scratching the surface. The island is networked with tiny, well-paved roads that resist traffic and gentle gradients on climbs that seem to go on ad infinitum, culminating in views unlike anything you’ve ever seen. June is the perfect time to hit L'Île de Beauté with DuVine: think mild temperatures, low season for tourists, and cols all to yourself. We’re not debating that watching the TDF live is an obvious must-do, but cheering on the peloton from the Alpe d’Huez is another level of epic. The 2018 Tour will be a true test for the front runners as they face these 21 switchbacks on the 175-kilometer Queen Stage with 5,000 meters of climbing (more or less). And let’s not forget the colorful fans—an essential part of the spectacle with a crazy celebration to be had at every bend in the road. 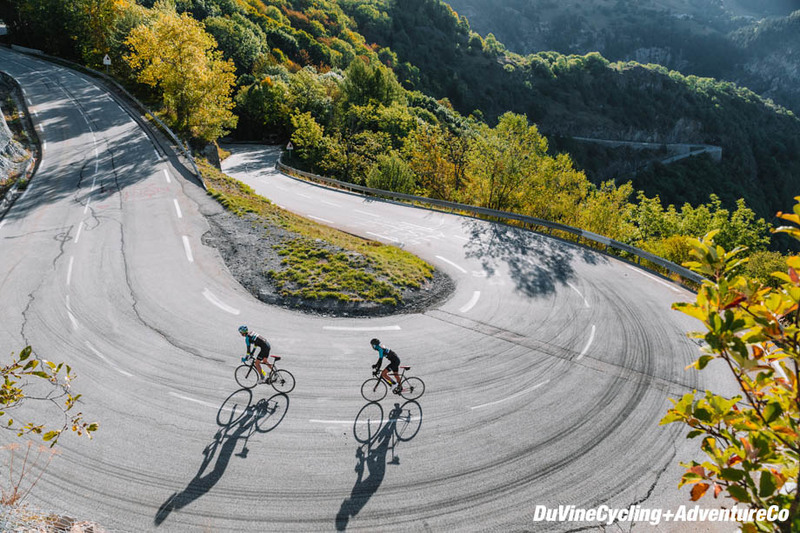 DuVine’s TDF Alps Bike Tour will challenge you with serious riding, turn your Strava friends green with envy, and secure your VIP passes to witness all the gravel-laden drama of stage 10. See you in July! Cycling in Switzerland can only be described as addictive, so DuVine’s Switzerland Journey pedals every glorious mile from Lake Geneva to Lake Como in bella Italia. Riding here may very well ruin you—imagine 8 days of tiny mountain-hugging roads, jaw-dropping lake views, switchback-laden passes that rival the Stelvio, and cows as your only spectators. 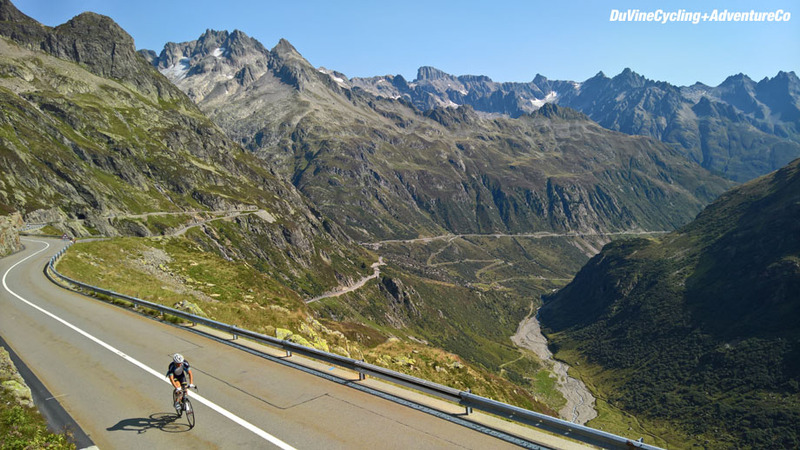 Tackle all the big-time cols: Mittelberg, Col de la Croix, Col du Pillon, Grosse Scheidegg, Grimsel Pass, Furka Pass, and St. Gotthard Pass. As an added bonus, DuVine will outfit you in a complimentary ASSOS custom kit, so you’ll look sharp in every one of your col sign selfies. Riding in Tuscany is a dream for every cycling enthusiast. What’s not to love about the rolling green hills and routes that pass through ancient villages where time stands still? Add a private chef who rides with you, soigneurs ready to relieve your legs after a tough day, and a luxury villa as your home base-this is Tuscany done DuVine style. DuVine’s Chef on Wheels tours put guests in the saddle alongside world–famous chefs-in this case, a Food Network alumnus, cookbook author, and owner of two Manhattan restaurants. It takes one to know one, and Chef Seamus Mullen knows how to fuel a cyclist–this tour will focus as much on the miles and elevation gain as the healthy, vibrant flavors of Italy. 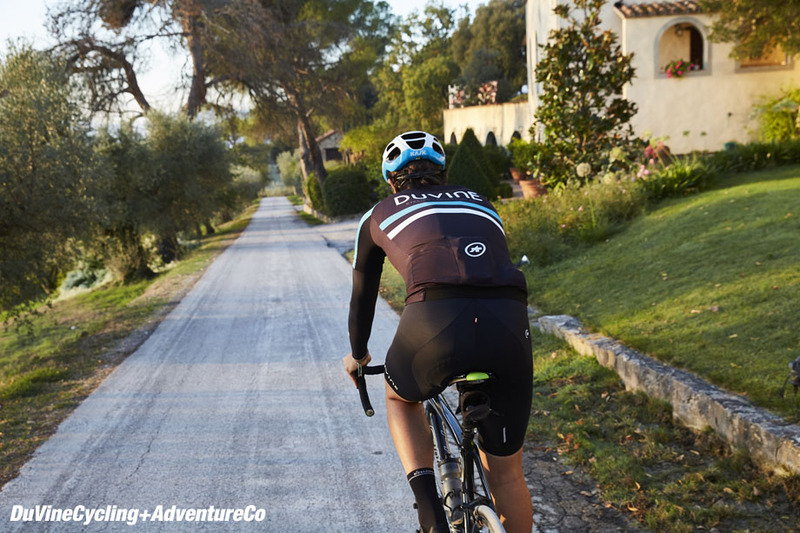 • Find out more and plan your next cycling adventure at DuVine Cycling + Adventure Co.